The University of Waterloo and its fixation with geese are going international in ongoing collegiate eSports tournaments for Hearthstone and Heroes of the Storm. Waterloo’s Goose Tattoo placed among the top 16 teams in U.S. and Canada in Heroes of the Storm’s Heroes of the Dorm tournament. 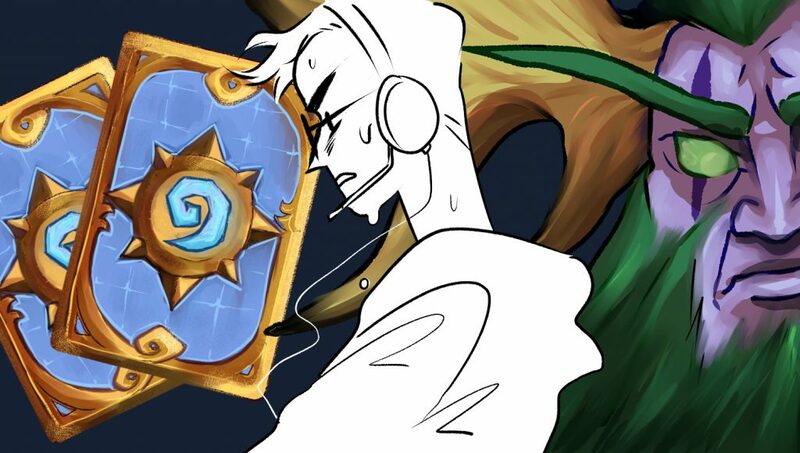 Meanwhile, Hearthstone teams Nesting Season and Tempo Kobolds are among the top 64 in the Tespa Collegiate Series tournament, and stand a chance to go for the gold when the series resumes April 8-9. Trevor van Leeuwen, Nesting Season team member and co-ordinator for Goose Tattoo, spoke to Imprint before the latest Heroes of the Dorm bracket March 25-26, when Goose Tattoo played their final games. The finals of Heroes of the Dorm will be held in Las Vegas April 8, with the winners earning free tuition for their college careers. Meanwhile, $10,000 U.S. is on the line for Nesting Season and Tempo Kobolds as they prepare for the Tespa Collegiate Series’ round of 64 April 8-9, followed by the championship bracket April 22-23. Whatever happens, both teams already netted $400 U.S. per player in scholarships for making it into the top 64, cut from about 850 other teams. Van Leeuwen noted that taking part in the tournament during midterm and final exam season could prove difficult for eSports student athletes. “It’s not too bad, except around midterms. Around midterms it’s very difficult to schedule stuff, because then you have games on the weekend [during] Hell Week for engineers, so it’s like ‘Alright, you get to play video games for a couple hours and not study,’” van Leeuwen said. While Goose Tattoo is out of the running for this spring’s tournament, van Leeuwen is anticipating recruiting more players during the fall term.